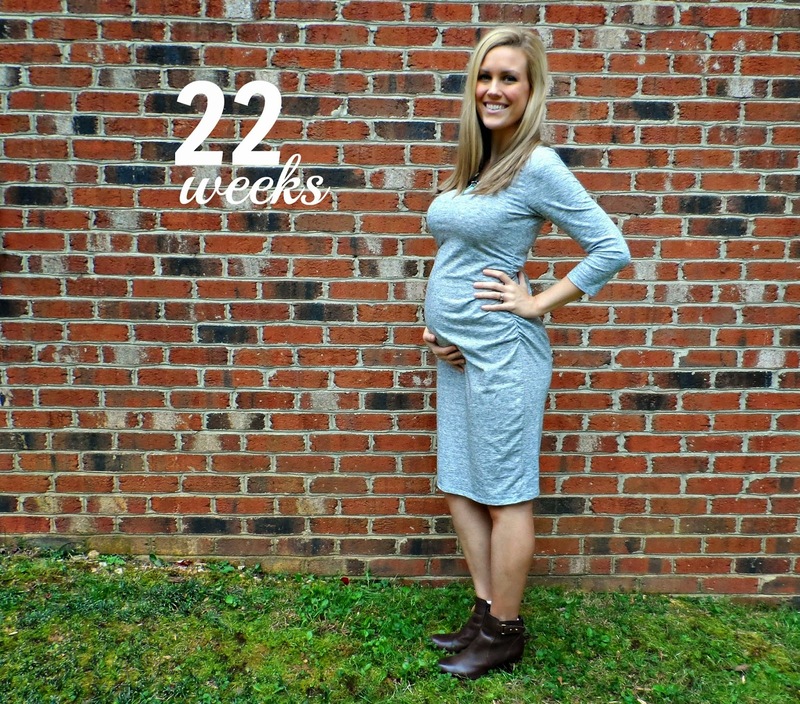 Maternity clothes: Leggings all the time please. Sleep: Sleep has been pretty great due to the rashes healing and my new Bump Nest pillow! Medication: 1-2 Zofran pills a day depending on how I'm feeling. I've had some not so good days but nothing compared to the beginning. The rashes are healed and we figured out it was an allergic reaction to a band-aid. So NO more band-aids for me at least during pregnancy! So strange. Gender: BOY! (Gender reveal party post coming as soon as I get the video working on here.) We are praying about the name. I have no idea whether we'll share it before birth or not. I would hate to share and then change our minds or something. Food cravings: Steak! And I had it when we went out to lunch the other day, yummm. Food aversions: Totally depends on the day with eating, but I am super easily grossed out by stuff like doing the dishes or questionable items in the fridge. It's difficult for me to even think about that. Milestones: Began registering, painted the nursery, saw him move for the first time! Quotes: When I was at my friend Jenna's house, I was playing with her 2 1/2 year old son Everette. As he was introducing me to his favorite show, he was pretty comfy and snuggly with me. At one point he started kinda climbing up me and Jenna told him not to and reminded him that there is a baby in my tummy. He looked rather surprised as he remembered this (they were at our gender reveal) and I let him know that it is indeed true there's a baby boy in there. His eyes widened, he got excited, and he immediately leaned close and grabbed my shirt to peer down into it exclaiming, "Let me see him! Where is he?" We erupted in laughter and explained that none of us can see the baby yet, we have to wait. He seemed to still want to inspect inside my shirt but Jenna prevented him from having that disappointing view again. Now that I've noticed the baby responding to sounds, Jordan has started singing and playing the guitar to him. Sometimes it will be whatever song he happens to be singing, other times he'll make up some words for the little guy. I'll have to start writing them down or something! You are just the most adorable pregnant lady ever! I hope that when I get to start my own family, I look as cute as you (or even half as cute!) I better not tell my fiance that--he may freak out a little. You look amazing. I'm so excited for you! I'm glad you're feeling much better than the beginning and hope the sickness gets less and less as your pregnancy continues. 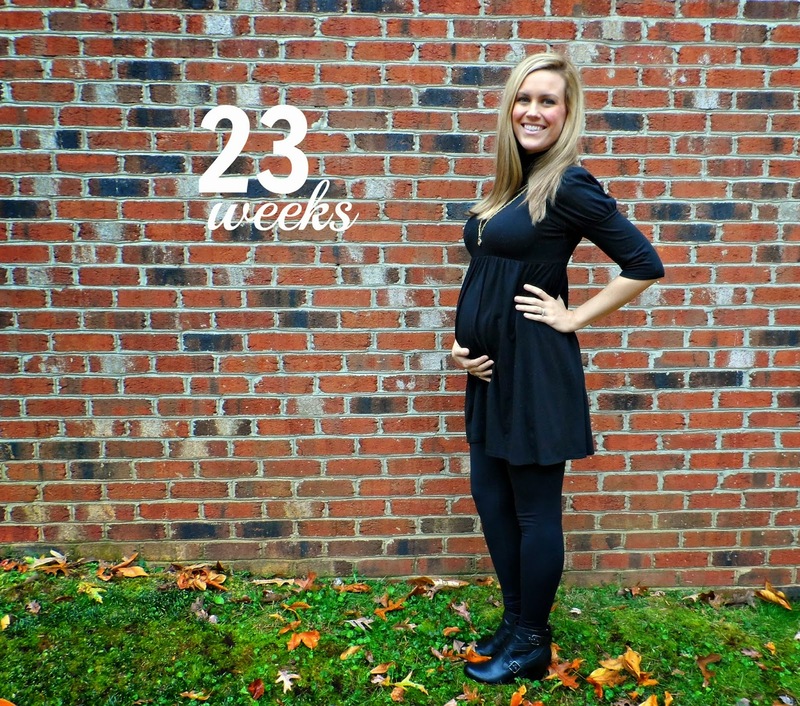 Yesss, leggings while pregnant. I mean, what else would any sane woman live in, right? :-) Next time, assuming there is one, I will be pregnant in warmer weather because trying to stuff yourself into jeans in the winter is just painful. Ashley! I am so excited for you and Jordan! It sounds like you are going to be great parents! I've been reading all of your updates and I have to ask, where did you get your ankle boots?? They are so cute!